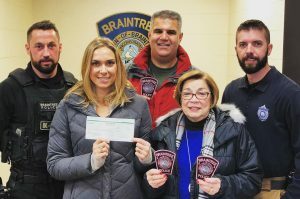 For the month of October in 2017, the Braintree Police Department raised money for Marisa’s Mission by selling pink police patches, also known as the #pinkpatchproject. Selling at $10 a piece, they raised over $5,000! We cannot thank them enough for all of their support, not only to us, but also for their endless support to the community and for keeping us safe. The best of the best! To read more about the Pink Patch Project click here. 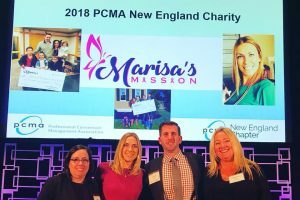 We are honored to have the PCMA select Marisa’s Mission as their “Charity of Choice” for 2018! Throughout the year, they will be helping to raise money for Marisa’s Mission. Huge thanks to Premios Fineza! 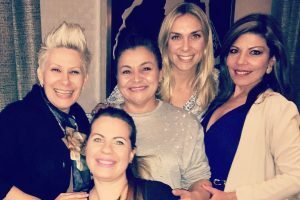 As the leading Massachusetts-based Latino entertainment community, Premios Fineza has chosen Marisa’s Mission as their charity to support for their Second Annual Entertainment Awards Ceremony in October of 2018. More details to come!